Herzog has always seen the value in stylized big acting over naturalism. There’s of course his oft-discussed series of films with brilliant nut-case Klaus Kinski, and also later efforts like Bad Lieutenant: Port of Call New Orleans where he and Nicolas Cage proved to be a match made in heaven. Enter Al Pacino, whose star may have faded in recent years but who has never been a stranger to chewing the scenery in the best of ways. Hell, just make it a sequel to Bad Lieutenant with Pacino and Cage as buddy cops. Make the film nothing but the two actors screaming at each other for 90 minutes. I’d so be there. A sharp contrast to the previous pairing, this one would be all about down-to-earth realism. I’ve always thought that Ethan Hawke shines brighter the more grounded the character he plays is. Consider his turns in Richard Linklater‘s films, from Before Sunrise/Sunset to Fast Food Nation. He’s great when he just has to be a regular guy, and nobody captures everyday-ness better than Mike Leigh. He tends to work primarily with British actors, but Hawke would fit right in regardless. Just let him play an American. No fake British accent, please. I’ve been clamoring for Spacey as Oscars host for a few years now. The guy is an entertainer from head to toe, and he showed that he could sing in Bobby Darin biopic Beyond the Sea. So why not put him in a musical? Rob Marshall could use a good bouncing-back to critical acclaim after the mostly lambasted Nine and Pirates of the Caribbean: On Stranger Tides. There’s another Chicago-level movie left in him, I’m sure. Seth Rogen is one of those comedians where I get the feeling that there is a really great performance bubbling just under the surface, and the right director needs to come along to bring it forth. Jason Reitman always brings out the best in his actors, from Aaron Eckhart in Thank You For Smoking to George Clooney in Up in the Air and, well, everyone in Juno. 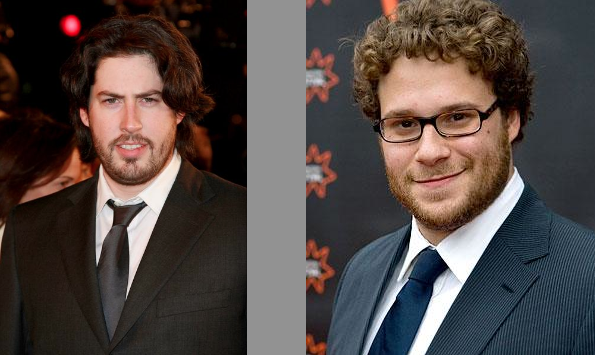 Reitman and Rogen could be golden, and a big jolt to the actor’s future career. While I’m no big fan of Solondz’ later efforts, his first two films – Welcome to the Dollhouse and Happiness – are powerful pieces of black comedy that shows the filmmaker’s ability to examine the darker and uglier sides of life. He’s also more than happy to include controversial scenes in his films, something that should be right up Sacha Baron Cohen’s alley. I may not be 100% convinced that the comedic sensibilities of the two will gel completely, but I would definitely be interested in seeing the results anyway. I actually tweeted a while ago that I wouldn’t want to see this one happen. Von Trier has a track record of putting his female characters through all kinds of hardships and turmoil (see: Emily Watson, Björk, etc. ), and Maggie Gyllenhaal possesses that combination of vulnerability and stoicness that would be catnip to the mad Dane. And she’s one of my favorite actors, so seeing her getting fucked up emotionally could be a rough ride indeed. But it would be worth it. And we end this with a no-brainer. 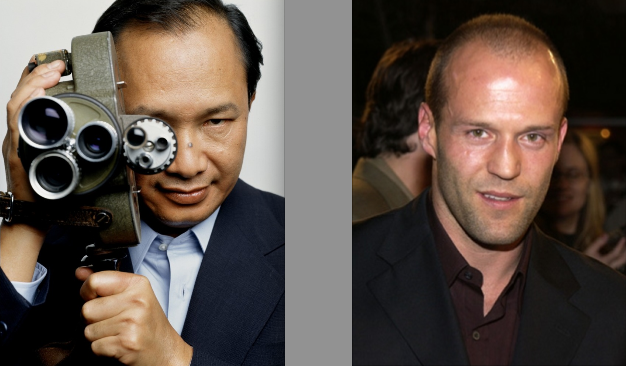 John Woo may have returned to Hong Kong in recent years, but if he ever ventures westward again, he needs to team up with the badassest action star we have going today: Mr. Statham. Just thinking about it makes me all giddy. What do you think of these ideas? What other director/actor pairings would you love to see happen? Some great choices, especially like the Rosario Dawson one. She’s always great to see (she’s such a beautiful woman, but is a great actress too). Werner Herzog and Pacino is something I’d go and see as well. Herzog is great as a documentary maker, but like you say he was great with Nic Cage too. Something like that with Pacino is something I’d like to see. Glad you liked my ideas. I’ve always had a soft spot for Rosario Dawson (candidate for hottest human being on the planet), and as you said, she’s good at the whole acting bit too. I was tempted to pair her up with Atom Egoyan for some Chloe-esque sexiness, but then Woody Allen came to mind and seemed perfect. Genius! I’m especially up for seeing Solondz and Baron Cohen, Woo and Statham and Fincher, well Fincher can work with anybody in my book! I’ll waitch anything Fincher puts out too. Great director. Glad you liked the post, Pete! Some of these are so random, but they would work so well. 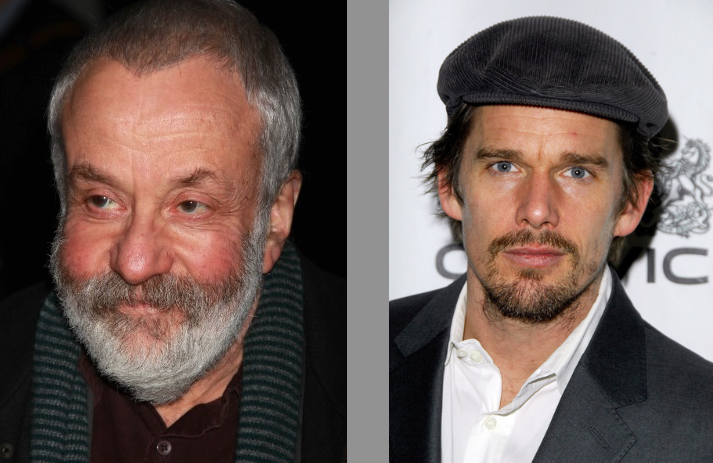 Herzog/Pacino and Von Trier/Gyllenhaal, in particular, are two I’d love to see. Great stuff here. Very interesting post. I actually haven’t given this much thought before, but this made me “open my eyes”. I’d probably focus on the directors/actors I like and what could work. Are all those directors/actors ones you like or just what you think would be interesting/work well ? Allen+Dawson – Yes, Allen likes beautiful women and Dawson fits that bill and I’ve liked her, but haven’t seen her in very much. 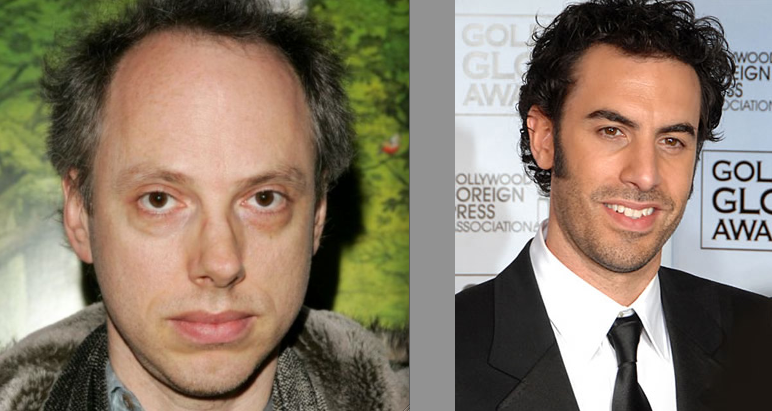 Todd Solondz-Sacha Baron Cohen – Both have a dark sense of humor that should work well together. As soon as I saw this pairing I thought “Yes, great choice”. There are no actors or directors in this post I would say that I don’t like, though some aren’t quite what I’d call “favorites” either – like Marshall, Solondz and Hawke. I would love to see all these combinations happen personally, but it’s not just a case of mashing together actors I like with directors I like. I do think these pairings could make for some great films. There were different lines of thinking involved when I made this post. Some of the entries are symbiotic, in that both actor and director could really benefit from it (Herzog/Pacino, Solondz/Cohen, Woo/Statham). Others are more along the lines of “This could be really good for the actor” (Fincher/Davis, Reitman/Rogen). Others still are just because I want to see the film (Von Trier/Gyllenhaal). On the planning stage of this post, there were some other combinations I was toying with as well. For instance: Paul Thomas Anderson + Meryl Streep. I scratched that one eventually, because while the resulting film would most likely be teriffic, it’s not something that really NEEDS to happen. Both PTA and Streep can do awesome stuff no matter who they’re paired with. 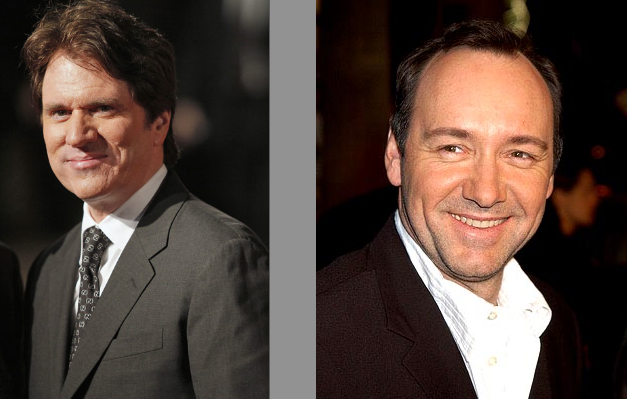 Along those lines, David Fincher could work with pretty much anyone these days and I’d still watch it. His pairing is for the benefit of Viola Davis, a great actress who due to gender, age and skin color probably won’t be getting as many big roles as she deserves in today’s Hollywood. She and Fincher could do some really cool stuff together. Lars and Maggie Gyllenhaal would be really fascinating. 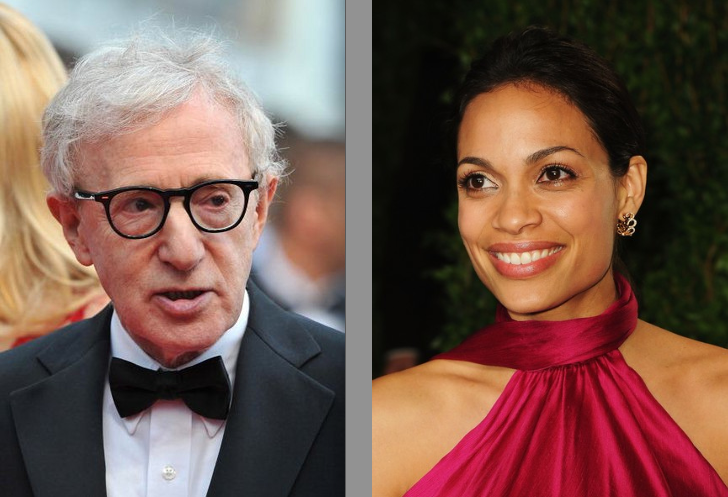 Woody Allen and Rosario Dawson is a good match too. I’m indifferent about the other pairings though. Fair enough. Lars and Maggie seems to be a popular idea based on feedback I’ve gotten here and elsewhere. Let’s hope it happens someday. INteresting post, some of these would really be fascinating if they did materialise. Von Trier and Gyllenhaal would certainly be a good partnership. I’m glad you liked the post, vinnieh. I had a lot of fun coming up with the pairings, and it’s nice that people enjoy it.